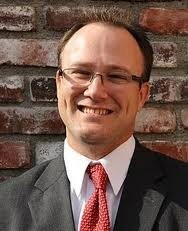 For a fourth year, Brent W. Caldwell will serve as a board member for the Orange County Trial Lawyers Association. The Law Offices of Brent W. Caldwell is pleased to announce that owning and managing partner, Brent Caldwell, will once again serve on the Board of Directors for the Orange County Trial Lawyers Association. This upcoming 2014 term will be Mr. Caldwell's fourth. The association’s sixteen board members are elected by association members and serve in one-year terms. Board members assist other elected officials in providing guidance and governance to the association. The Orange County Trial Lawyers Association was established to help protect the rights of people who have been harmed through the neglectful acts of others. The OCTLA carries out this mission by providing superior on-going education and training for its members. OCTLA also acts as a resource for its members and actively works to promote and support laws which protect access to the civil justice system. The Law Offices of Brent W Caldwell, a personal injury practice, focuses on developing strong one-on-one relationships with each of their clients. The firm believes personalized attention not only helps their clients through difficult trial situations but also increases the likelihood of positive outcomes in the courtroom. The firm has two locations, one in the Huntington Beach area of Orange County, California, and the other in Las Vegas Nevada. The firm’s major areas of practice include personal injury, business litigation, and business collections. Mr. Caldwell attended San Diego State University and Whittler Law School. He is a member of both the California and Nevada State Bars. Mr. Caldwell offers free initial consultations.